Nadja from the Philippines, tells us about doing the CELTA and teaching English in Vietnam, and how she became a Learning and Language Advisor to students at an international university there. Henry, from the UK, is our youngest teacher to interview so far. In his first year of teaching after his degree, he tells us about how and why he decided to teach English abroad, the job he does now and what he’s learned from it. In this post, Pete, a British teacher who currently works as a teacher and materials writer in Bangkok Thailand, talks about working on the EPIK scheme in South Korea, living in a Spanish town with storks on the cathedral spire and feeding a summer school’s resident badger. Anna from Ukraine, tells us about being a government school teacher, why she did a CELTA as well as a language teaching degree and how she ended up teaching business English in an I.T company in Lviv. Ciaran, from Ireland, tells us about starting out teaching in Japan, losing the roof of his house in Vietnam, his love for Taiwan and the joys of owning a dog. Sharon, from Hong Kong, trained in the UK and now teaches and trains teachers back home in Hong Kong. 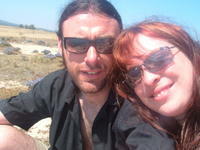 She has some ‘interesting’ stories about dodgy teachers in the industry and students’ inappropriate behaviour in class. Evonne from Malaysia talks about how the economic downturn in Asia forced her to start teaching English, and why she is really happy that she did. Richard tells us about teaching English in Italy and Saudi Arabia and the problems with Google Translate as an English teacher. Canadian Rheanne talks us through her extensive English teaching career, including jobs in Japan, Vietnam, UAE and Kazakhstan, and teaching English to fetuses (yes, you read that right). Becky who is now teaching in Moscow, tells us about why she loves teaching little kids and how teaching in Japan allowed her to see the Japanese singer she loves multiple times. Amy, a fellow teacher here in Kiev, tells us about starting out in New York, and why she loves teaching in Ukraine so much. Amy blogs at The Wayfarer’s Book, and you can read more about her thoughts on teaching, and her adventures traveling in Ukraine, there. TEFL Teachers from all around the world talk about how they started out teaching English, and what advice they would give to new teachers. Amy, a fellow teacher here in Kiev, tells us about starting out in New York, and why she loves teaching in Ukraine so much. Read more…. In this blog, Angela, who is originally from the Philippines and now teaches in Dar es Salaam, Tanzania, talks to us about how she started teaching English and her current multi-role job. Read more…. In this post, Anna from Ukraine, tells us about being a government school teacher, why she did a CELTA as well as a language teaching degree and how she ended up teaching business English in an I.T company in Lviv. Read more…. In this post, fellow blogger Becky who is now teaching in Moscow, tells us about why she loves teaching little kids and how teaching in Japan allowed her to see the Japanese singer she loves multiple times. Read more…. In this post, Ciaran, from Ireland, tells us about starting out teaching in Japan, losing the roof of his house in Vietnam, his love for Taiwan and the joys of owning a dog. Read more…. In this post, we interview Emma, a British teacher who trained with us in Thailand, and then has worked for International House for the rest of her career to date, in Argentina, Spain, and Portugal. She tells us about starting out teaching classes of 60 students in Thailand, running social media for a school in Argentina and getting the opportunity to visit Iraq for teacher training. Read more…. Evonne from Malaysia talks about how the economic downturn in Asia forced her to start teaching English, and why she is really happy that she did. Read more…. 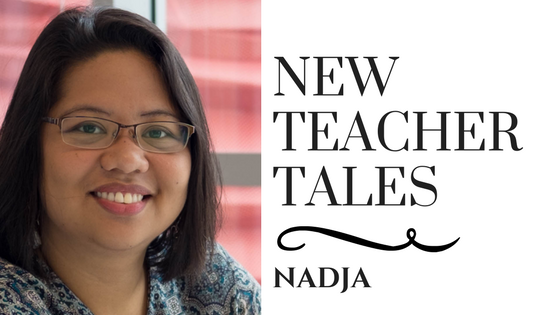 Nadja from the Philippines, tells us about doing the CELTA and teaching English in Vietnam, and how she became a Learning and Language Advisor to students at an international university there. Read more…. In this post, Pete, a British teacher who currently works as a teacher and materials writer in Bangkok Thailand, talks about working on the EPIK scheme in South Korea, living in a Spanish town with storks on the cathedral spire and feeding a summer school’s resident badger. Read more…. In this post, Richard tells us about teaching English in Italy and Saudi Arabia and the problems with Google Translate as an English teacher. Read more…. Sharon, from Hong Kong, trained in the UK and now teaches and trains teachers back home in Hong Kong. She has some ‘interesting’ stories about dodgy teachers in the industry and students’ inappropriate behaviour in class. Read more….